The game had been billed as the battle between Kaka and Ronaldo, Adidas vs Nike, but in the end it was Rooney who claimed victory, as he outshone all those around him as Manchester United came from behind to beat AC Milan 3-2. Kaka impressed early on, with his effortless touch, speed and power wearing the Adidas Predator Absolutes, grabbing two goals that may prove to be crucial in the second leg. 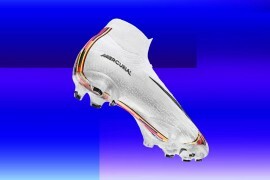 United’s defence looked shaky and at times a shambles, with Gabriel Heinze, wearing white Puma V-Konstruct football boots, colliding with a fellow defender to gift Milan the second away goal. 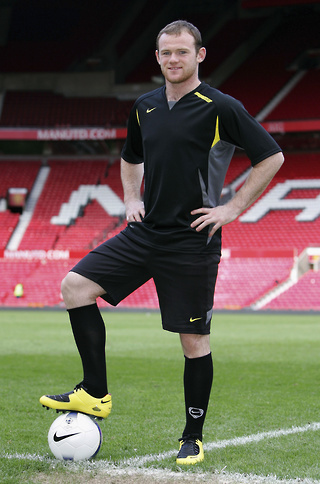 But up front, Scholes and Rooney were in no mood to accept defeat. Wayne Rooney left his new T90 Laser football boots on the training field, preferring his trusted Nike Total 90 Supremacy, and the decision looked a wise one, as even though he can’t match Adidas poster boy Kaka on looks, on the field he matched him for quality, passion and goals. Kaka disappeared for the last 20 minutes of the game (he was “tired”), during which time Rooney showed his class and encapsulated the spirit of a team with a determination to win that will prove a tough test for AC Milan in next week’s second leg. 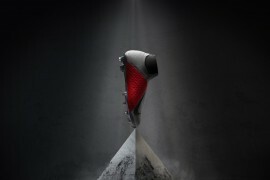 Read more about Wayne Rooney’s new football boots the Nike Total 90 Laser. View Wayne Rooney’s Injury Time Goal Video. Kaka was Kaka. Wait till Roo wears his yellow lasers in the second leg – he’ll blind everyone on the pitch.